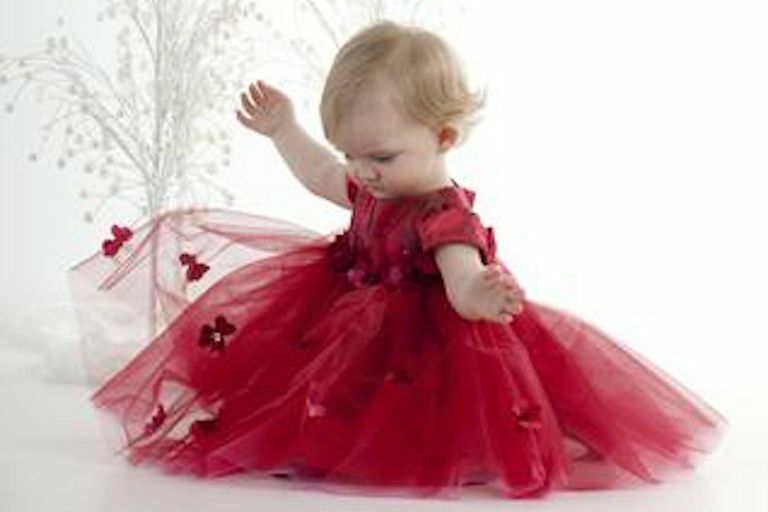 The holidays are the perfect time to dress up your baby girl in a frilly, festive dress. 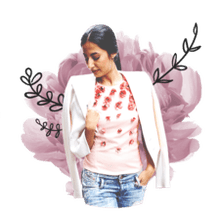 There are so many crazy gorgeous dresses out there that will make family and friends “ooo” and “ahhh” at the sight of your little one at Christmas parties, New Year’s Eve shindigs and family photo shoots. Here’s a roundup of several amazing baby girl dresses from a range of price points, including some from Janie and Jack, Kohl’s, Biscotti and Kate Mack and Neiman Marcus. They’re all so darn cute that it’ll be hard to choose just one! This beautiful ballerina dress, featuring a charmeuse bodice and tutu-inspired skirt, is definitely a showstopper. Any little girl will look like a true princess in this amazing dress. What really makes this dress are the charmeuse flowers that decorate the waistline and skirt. It evokes fantasy, whimsy and pure delight! Go for a mod 1960s holiday look with this adorable black and white A-line knit shift dress that features an oversized bow print. Pair it with black leggings and your little gal will look ultra chic and totally cool. Many Janie and Jack dresses have a classic, Jackie Kennedy style that is so appealing and lovely. This dress is no exception. This dress will look absolutely stunning on any babe this holiday season. This romantic little number, featuring sequins and a flutter skirt, is a gorgeous throwback to the 1920s jazz era. Such glamour! This vibrant red dress will be a knockout at Christmas parties and in holiday photo shoots. It's simple and classic, yet makes a big statement. Plus, the price is amazing for this gem of a dress that includes matching bloomers. This lovely dress features a sweater knit bodice with a drop waist and a vine of delightful roses winding up toward the shoulder. Your little lady will definitely turn heads in this little number. This lovely Janie and Jack dress also looks like it stepped out of Jackie Kennedy's closet. It's super ladylike with its faux fur collar and super sweet pleats. Truly adorable. Baby girls will look utterly precious in this black-and-ivory dress featuring a lovely black bow. Again, I think Jackie Kennedy must have owned a dress similar to this one. I can just imagine her wearing it with a little black pillbox hat. Your lovely little lady will look like a member of the royal family in this classic princess dress featuring a pearl encrusted waistline. This blue sateen dress featuring a pretty floral pattern, crinoline lined skirt and matching bloomers is a lovely choice for your little girl for the holidays, especially considering the awesome price. Opt for classic, simple and all-American with this red Ralph Lauren fit-and-flare dress with matching bloomers. Your baby will look chic, sophisticated and totally festive. Nothing says Christmas more than a classic red dress with lots of fluffy, delicious ruffles. Pair it with matching red bloomers and a matching headband for a photo shoot worthy look. Your little princess will look like a real princess in this adorable pink dress featuring a tiara on the bodice and embellished skirt. If you're looking for a high-fashion holiday dress, this Helena dress is a showstopper. The neoprene fit-and-flare dress features gorgeous pleats and such a classic, sophisticated silhouette. What a knockout Christmas dress! Your little lady will be the belle of the ball in this exquisite Oscar de la Renta dress featuring a velvet bodice and brushstroke floral mikado skirt. Although tulips bloom in spring, this lovely Dolce & Gabbana pleated mikado dress featuring a dark background will still look amazing on your tot at a holiday party. Your gal will look super high fashion in this D&G, no doubt.